Pretty quickly after we got engaged I started thinking about engagement photo ideas for two reasons: first because I wanted to take advantage of how beautiful fall is in Minnesota and secondly because I wanted to be able to include them in our save the date cards and get them out early. A lot of our guests will be coming from out of state and it will give them more time to make travel arrangements. A few weeks before the session I brainstormed potential shoot locations with both my fiancé and photographer Hollywould Designs. We settled on three separate places: a very lovely local park that sits on the banks of the Minnesota River, a large wooden bridge on one of our favorite bike trails, and a very cool-looking, worn-down industrial warehouse that’s right down the street from our home. Each of these spots shows off the natural beauty of the area and was special to us as a couple. Because our photographer was friendly and flexible, we decided that we would do a wardrobe change for each location, with two casual looks and one that was slightly dressier but not formal or over the top. She also suggested bringing a few props that would give guests a sneak peek of our wedding’s vintage travel theme. 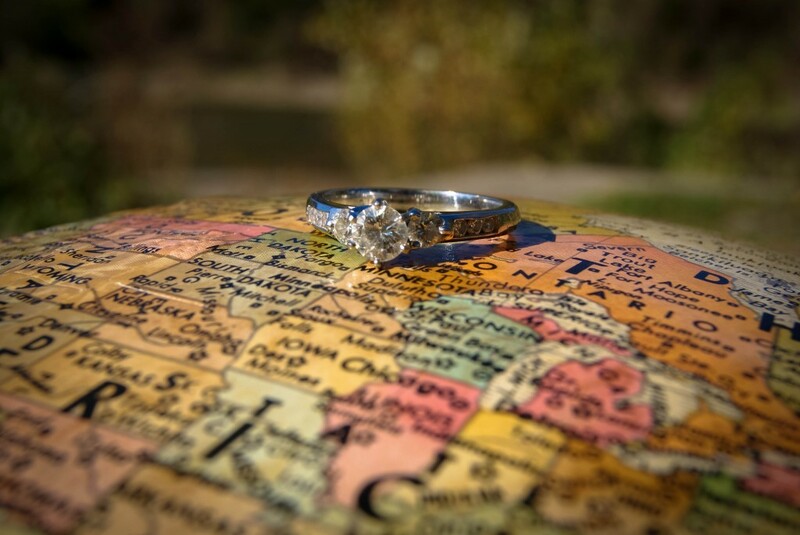 We incorporated some old suitcases and a large globe that we’ll use as decorations at our wedding too. Get a nice shot of the ring and don’t hide it in photos. Our photographer was very conscious about posing us so that the ring would be visible in most shots. Make sure to get some candid photos. 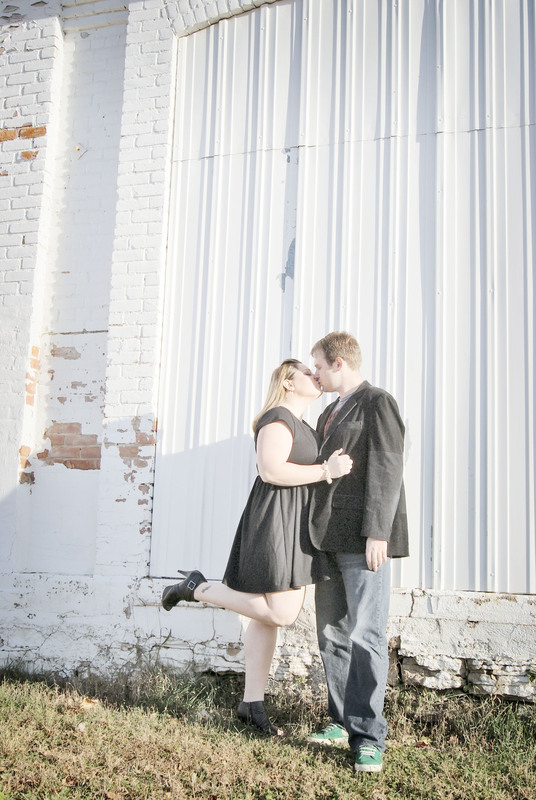 My favorite pictures of us from the session were taken when we were just being ourselves as a couple and not posing. Plan your outfits so you’ll look coordinated without being too matchy. For each outfit pick one main color and go from there. We worked with yellow, gray and black. Above all have fun and enjoy the experience! If you’re uncomfortable it will show in the pictures. 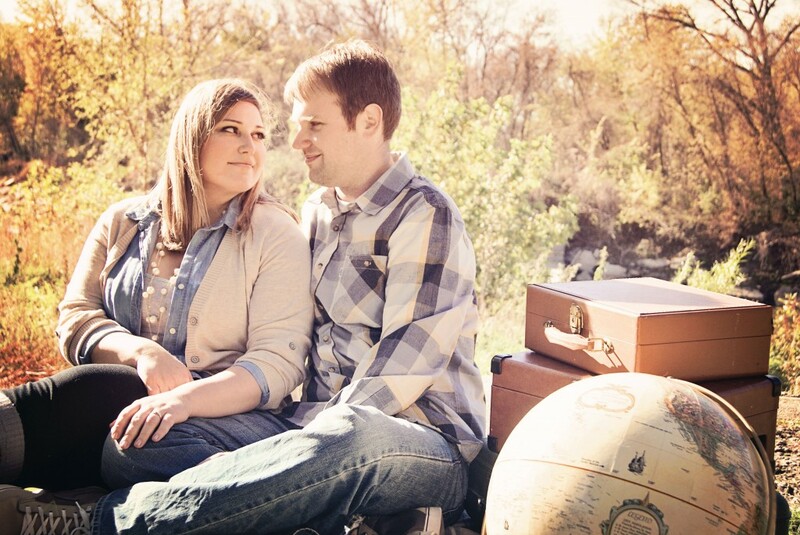 Learning to relax in front of the camera during your engagement session will help prepare you for wedding photos. 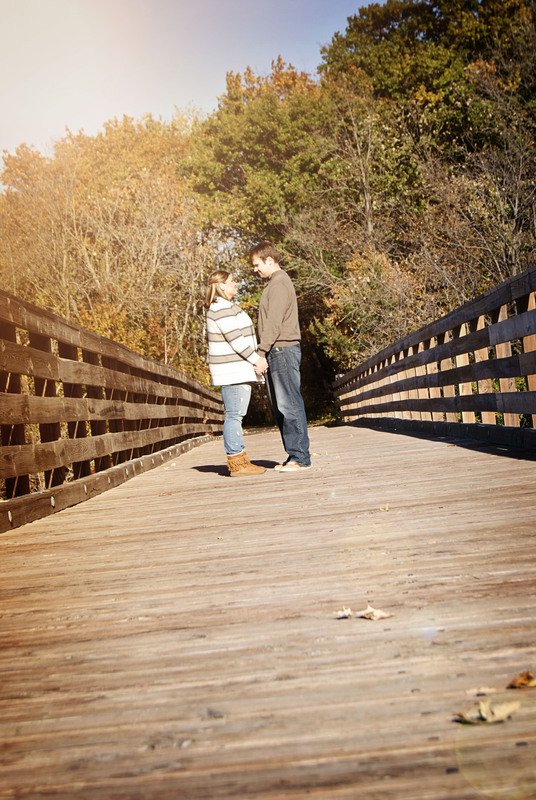 For more engagement photo ideas, check out our Pinterest page or if you’re like Kelsey and ready to start personalizing your save the date cards or save the date magnets, head over to Pear Tree Greetings to find the perfect one for you!